Radio announcer: President Truman'll be here tomorrow, so all you folks in Dallas turn out, chuh hear? This is Cowboy Rhythms on KTRN, Wichita Falls, here's Hank Williams' big hit tune, "Cold Cold Heart". 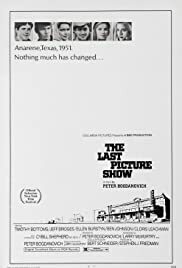 Q: What is 'The Last Picture Show' about? Q: Why was Ruth Popper so unhappy with her husband? Q: What did Joe Bob do to the little girl? In this nostalgic, atmospheric study of small town life in the fifties as seen a decade later, filmed on location in Wichita Falls and Archer City, Texas (from a novel by the incomparable Larry McMurtry), the force of slow, inevitable change is symbolized in the showing of the last picture at the local movie house. That last picture show, incidentally, is Howard Hawks' celebrated Western, Red River (1948) starring John Wayne and Montgomery Clift. Well, the movie houses came back to life as multiplexes charging eight bucks a pop, but the Western movie died out, and the boys watching that movie went their separate ways into manhood. Peter Bogdanovich's direction is episodic and leisurely, naturalistic with just a hint of the maudlin. We get a sense of the North Texas prairie wind blowing through a cattle town where there is not a lot to do and a whole lot of time to do it. Hungry women and a sense of drift. Boredom, gray skies and a lot of dust. You could set 'Anarene, Texas' down any place in southwestern or midwestern America, circa 1951, and you wouldn't have to change much: a main drag, a Texaco gas station, a café, a feed store, flat lands all around, old pickup trucks and a pool hall, youngsters with a restless yearning to grow up, drinking beer out of brown bottles giggling and elbowing each other in the ribs, and the old boys playing dominoes and telling tales of bygone days. Robert Surtees's stark, yet romantic black and white cinematography, captures well that bygone era. The wide shot of the bus pulling out, taking Duane off to the Korean War with Sonny watching, standing by the Texaco station with the missing letter in the sign, was a tableau in motion, a moment stopped in our minds. 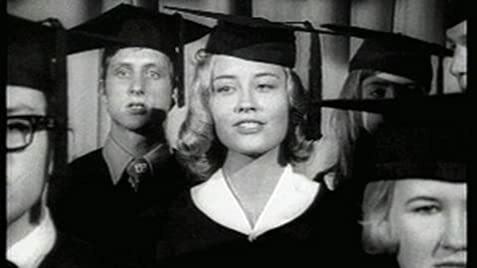 Cybill Shepherd made her debut here as Jacy Farrow, a bored little rich girl playing at love and sexuality. Part of the restorations in the video not shown in theaters in the early seventies includes some footage of her in the buff after stripping on a diving board (!). She is as shallow as she is pretty, and one of the reasons for seeing this film, although in truth her performance, while engaging, was a little uneven. The rest of the cast was outstanding, in particular Timothy Bottoms whose Sonny Crawford is warm and forgiving, sweet and innocent. Jeff Bridges's Duane Jackson is two-faced, wild and careless, self-centered and probably going to die in Korea. Ben Johnson and Cloris Leachman deservedly won Oscars as best supporting actors. Leachman was especially good as the lonely 40-year-old wife of the football coach who has an awkward affair with the 18-year-old Sonny, while Johnson played a lovable, crusty guy that the kids looked up to. Sam Bottoms played the retarded Billy with steady, tragic good humor. Ellen Burstyn as Jacy's terminally bored mother, and Eileen Brennan as the wise waitress with a hand on her hip were also very good. Memorable, but perhaps too obviously insertional, are the medley of country, pop, and rock and roll tunes from the late forties/early fifties jingling out of car radios and 45 record players throughout the film. Peter Bogdanovich followed this with some hits, including the comedy What's Up Doc (1972) with Barbra Streisand, Ryan O'Neal, and Madeline Kahn, and the excellent Paper Moon (1973) with Ryan and Tatum O'Neal, but then tailed off. I don't think he ever lived up to the promise of this film, an American classic not to be missed.